EKR gave this business consultancy a world-class branding and marketing treatment that helped them grow their marketshare. 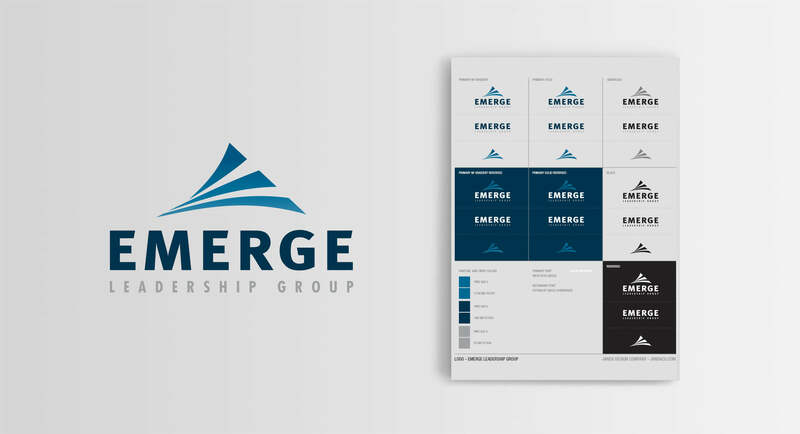 Emerge Leadership Group is a corporate training consultancy that helps businesses transition employees into management positions. Their leadership training is world class…they needed a world-class brand to match. EKR supported the company’s marketing efforts by creating the brand identity, stationery package, advertising, trade show booth graphics, presentation decks, email marketing and website. As a result of EKR’s work, Emerge was able to project a high-quality image and secure bigger deals with high-caliber clients. First step to creating a world-class brand? Design the right logo. EKR took the client through a logo design exercise that arrived at a logo, color palette and typography that would stand as the foundation for their brand. After landing on the right logo, EKR created a full stationery package for the client, including business cards, letterhead, envelopes, and kit cover design. 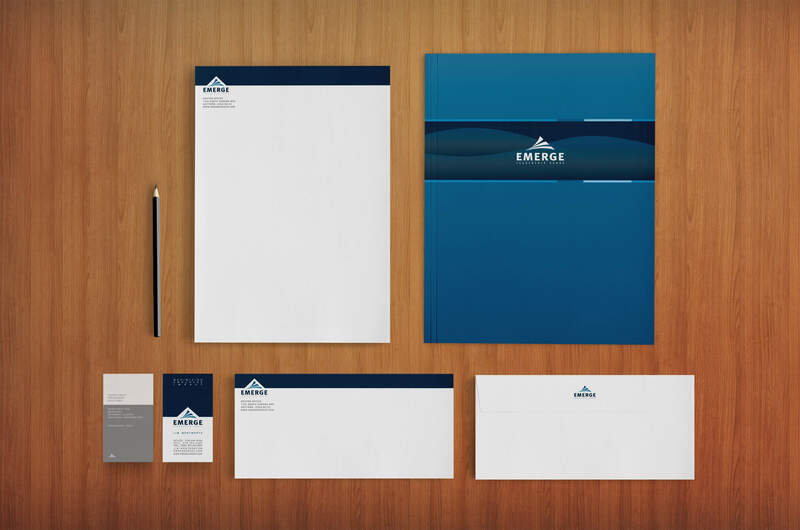 The stationery package helped Emerge convey a strong brand image in all client interactions. As a management training company, Emerge provides comprehensive seminars to help businesses improve their leadership abilities. 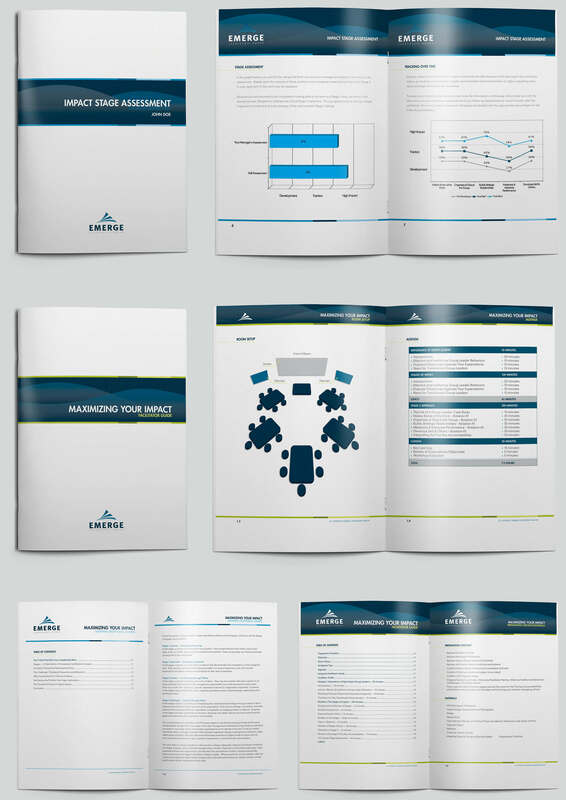 EKR created designs and templates for the workbooks used in their training seminars throughout the world. 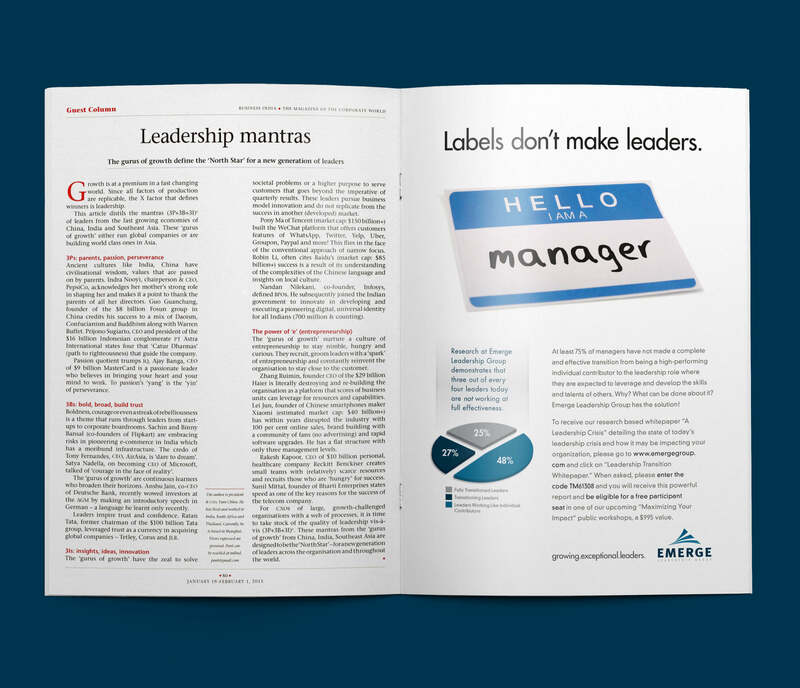 EKR assisted the client by creating several magazine ads to help Emerge market its business. From concept to production, EKR’s team managed the marketing efforts from start to finish. The ad displayed here was responsible for securing more than $2 million in revenue for the client. 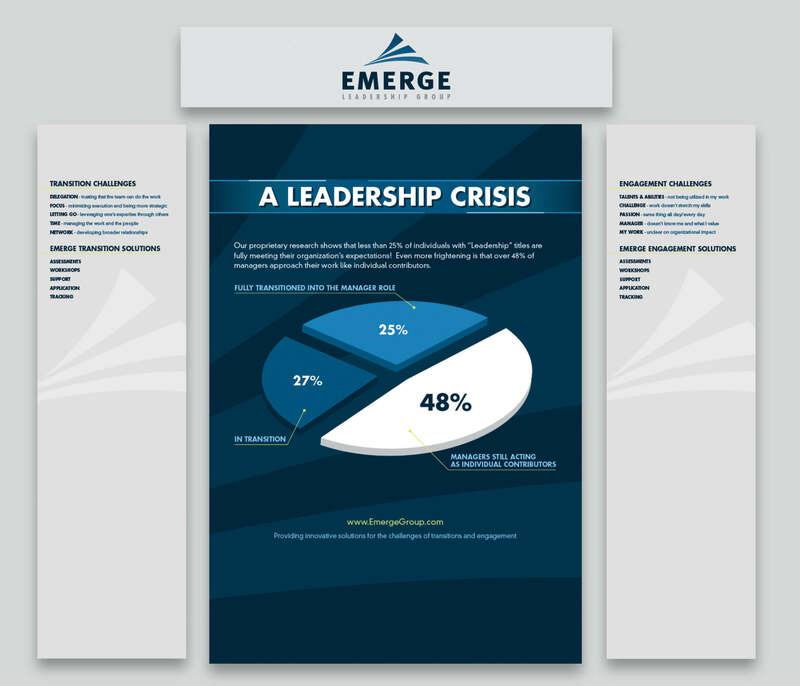 Emerge’s business required quality presentation visuals. 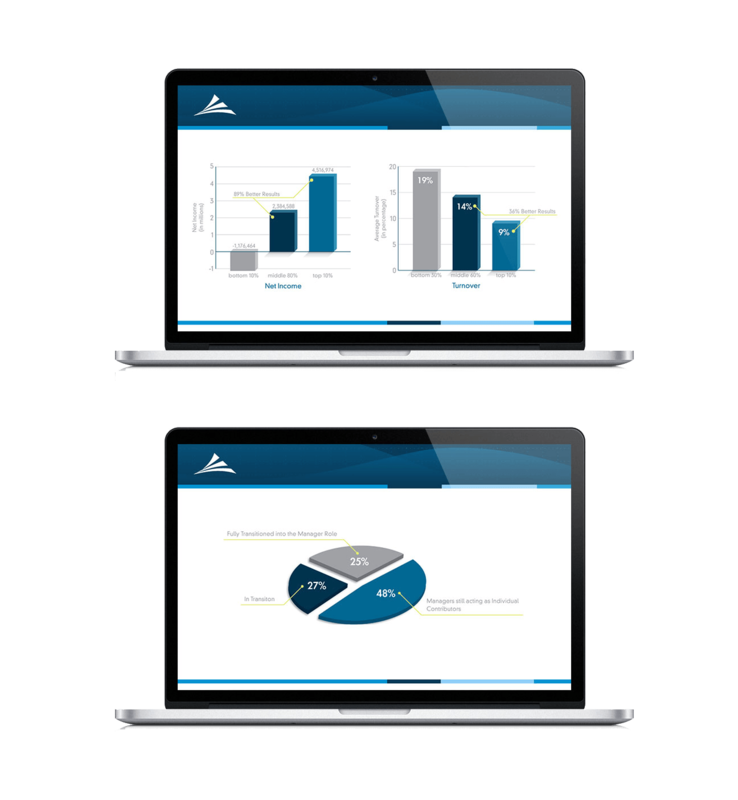 EKR designed and developed presentation templates for use in Powerpoint or Keynote. Additionally, the EKR design and illustration team created many infographics and charts to support the visual needs of the presentations. 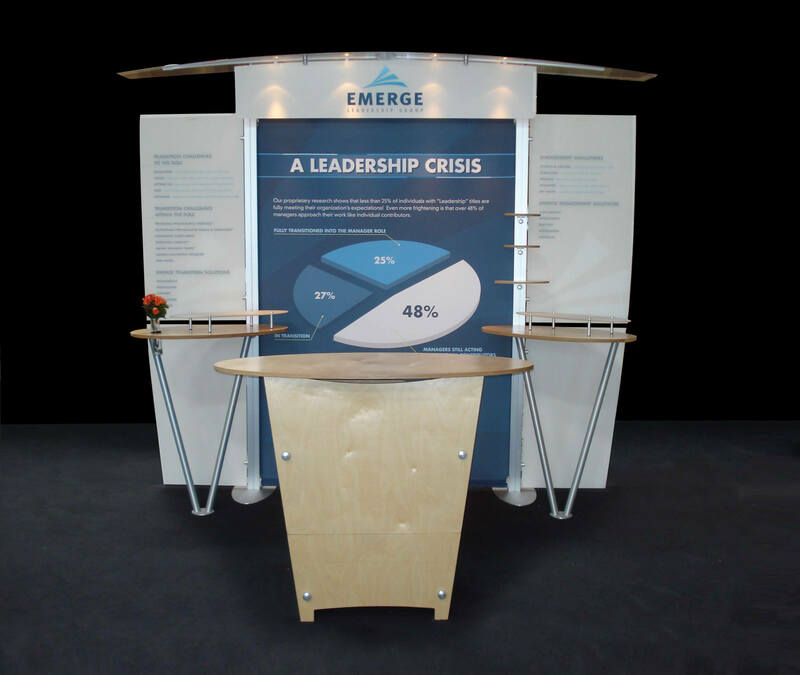 EKR designed Emerge’s trade show booth displays to empower the company to market effectively against competitors in its industry.